Three young people sit on stools underneath a big red sign which reads “Media Zone”. The token man has his arms folded and looks bored. The two girls are engaged in an animated conversation with someone opposite. On the shelf behind their heads rests a big cardboard cut-out of a fellow with his arms out – these span the entire shelf – and it looks like he’s hugging them. I’ve no idea who these people are, or what they’re waiting for. All I know is that right now – well, at the time of writing – they’re located just off the Strand in central London, the security camera filming them is supplied by Axis and someone has bizarrely tagged the stream “poo in the loo”. In fact, a count of the full list reveals live footage from nearly 27,000 cameras from 126 countries and 38 locations. These include coffee houses, airlines, swimming pools, farms, roads, kitchens and much more. There are: chairs-on-tables at 2am in a Tokyo cafe; a time-delay cyclist on a beautiful dawn beach; while one lens pans in and out of blurred-boat-windows on a deserted Florida dock. As this is all streamed live from locations around the world – via various types of equipment with differing levels of quality –the panorama is quite spectacular. Each has a Google map and coordinates underneath the video. And is a decidedly creepy world to enter, offering both a peculiar bastardisation of world travel, and a rather voyeuristic to peek into ordinary settings. Yet the blurb is keen to stress that a number of actions were undertaken to ensure the protection of individuals’ privacy. This means that only filtered cameras are available, any unethical or private camera will be removed on receipt of an email and camera feeds will only be added to the directory upon the administrator’s approval. James Wickes, co-founder and CEO of Cloudview – a company which helps securely connect CCTV to the cloud – agrees this information is perfectly legal and on no level hacked. “I think that connecting a CCTV camera or DVR to the internet without taking any security measures is the equivalent of planting a field of strawberries without fences or gates and then expecting no one to take any,” he says. “Whilst I cannot see the commercial or public interest in creating a site [like this] apart from hoping to gain notoriety,” he adds. “It is not surprising that such sites are springing up." Perhaps not surprisingly, the most popular location – with 7416 cameras – is the US. This is followed by Japan (5255), then Italy (1557) and then France (1389). This is not necessarily what you’d expect as France and Germany (seventh on the list with 682 cameras) have traditionally had very negative view of surveillance due to their recent history. Contrast this to the UK, especially London – which was heavily targeted by the IRA through the 1970s and 80s – which has had a far more positive view of CCTV surveillance. Yet this only has 605 cameras listed. Wickes of Cloudview shares the same view: “The insecurity of CCTV equipment is an extremely serious problem. Yes, some of the hacking of CCTV equipment is carried out by bored teenagers, but it doesn’t take a rocket scientist to work out that the planning of a serious crime would be greatly assisted by access to the CCTV equipment covering the target. “Consider what sort of person will be spending time looking around for insecure CCTV cameras,” he adds “and then consider that some of these people are likely to be unsavoury as well as very nosey. Would you leave your front door open for them? No. So why would you let them in through your CCTV by leaving it open on the internet?" In fact, Wickes goes one further and suggests this is one of the particular vulnerabilities in the Internet of Things. “One area which big business has largely ignored and which doesn’t get much media coverage is the potential for attacks via CCTV systems,” he says. 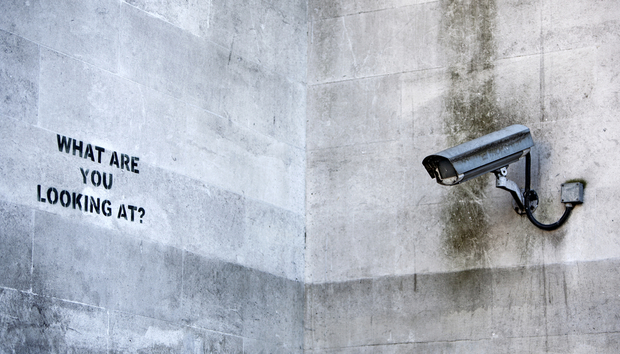 Do you know who is watching your CCTV?